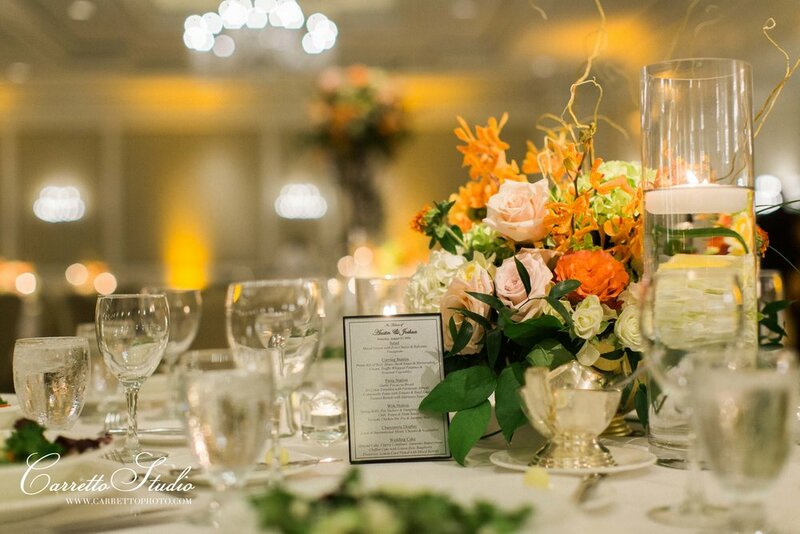 Austin and Josh had the most perfect colored wedding at the Ritz-Carlton in St Louis. We’ve been looking forward to creating floral for their wedding for over a year now and we are sad to write this post – because now it’s really over. 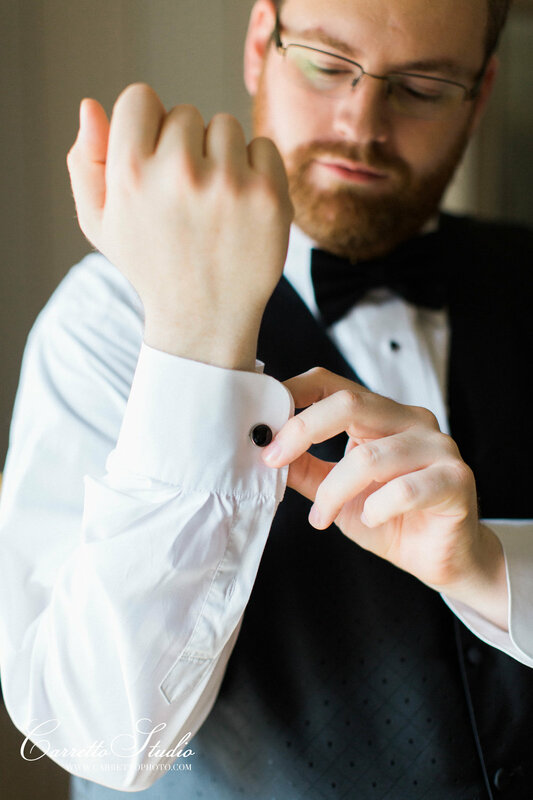 Austin and Josh are just two of the most genuine and fun people – and it’s so easy to see why and why so many loved ones and friends came to witness their special day. 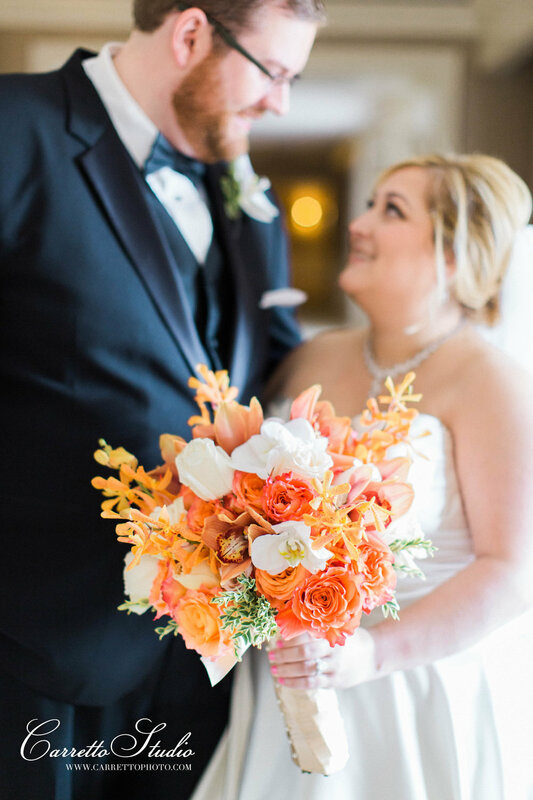 There were so many moments during their day that we loved, but our absolute favorite was their first look – their excitement and love is clearly contagious. The ceremony entrance was a beautiful draped entrance and mimicking stage that was flanked by 10' floral trees and romantic lighting. 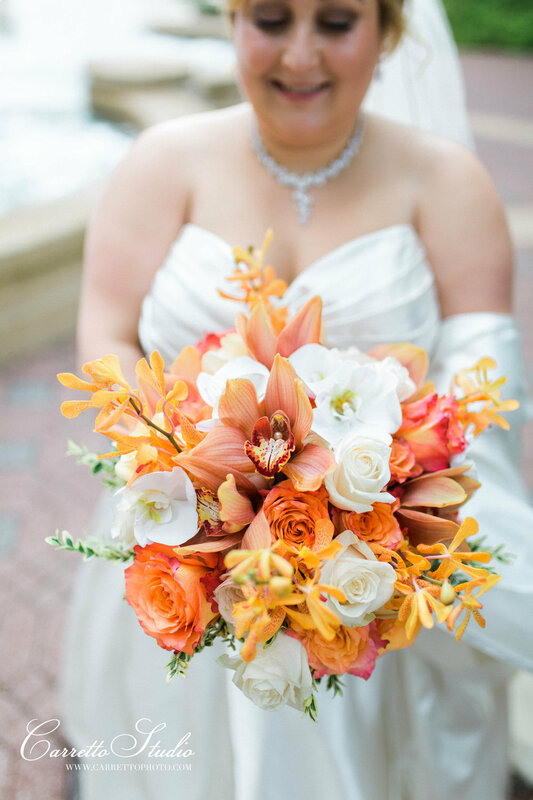 The floral palette consisted of orange orchids, champagne roses, orange roses, protea, dahlia, cymbidium orchids and romantic foliage. 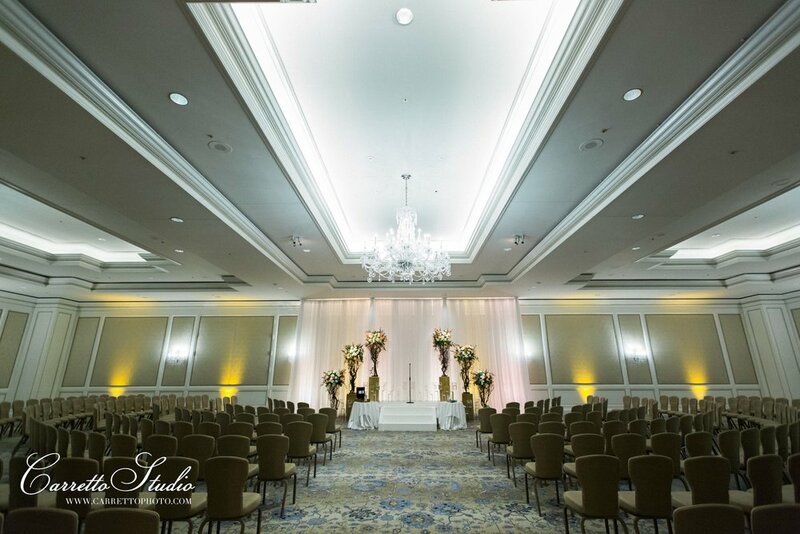 The Ritz Ballroom reception was stunning. Thanks to Carretto Studio for their amazing work for capturing such a wonderful day. We hope you two the experience, congratulations Austin and Josh!!! Another big thank you to Carretto Studio for capturing these stunning images as well as Austin and Josh for the opportunity to do what we love.